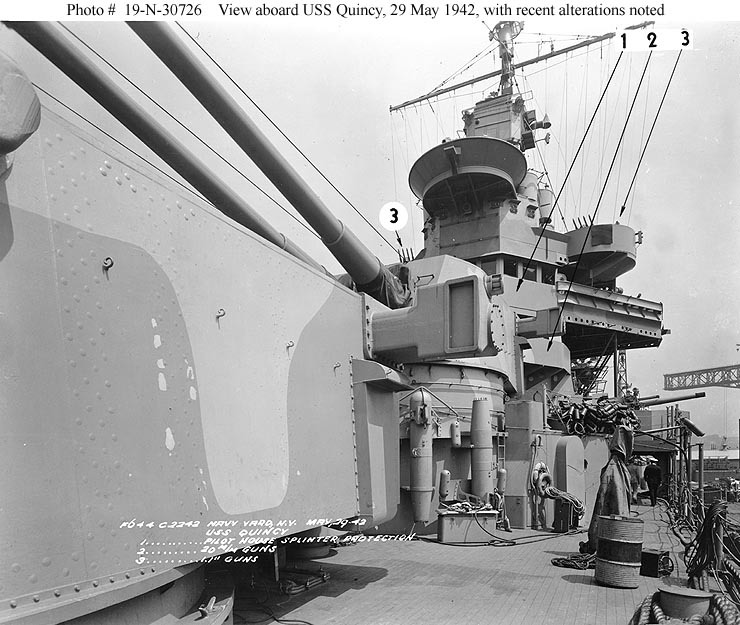 Dimensions 588' by 61'9" by 21'9"
1942-4: Splinter shields added to 5" gun positions. 0.50 machine guns replaced with 6x1 20mm Oerlikon AA guns. 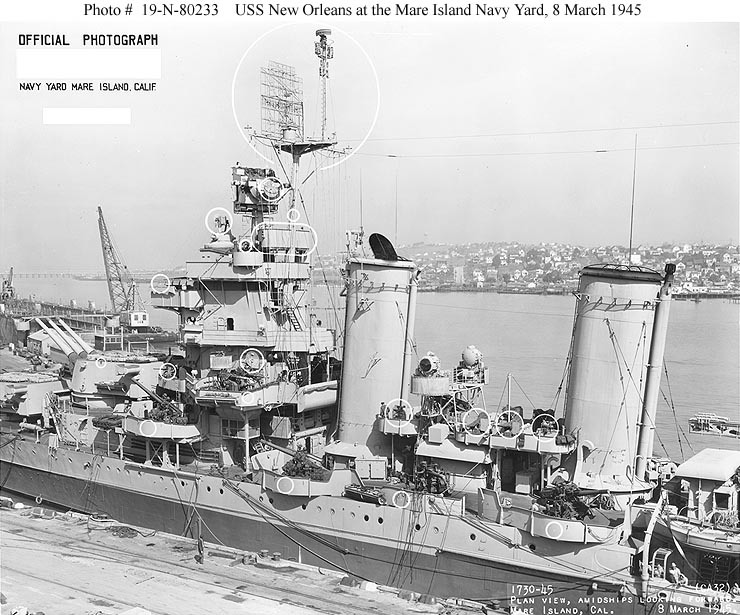 Equipped with SC and Mark 3 radar. 1942-10: Light antiaircraft increased by up to 10x1 20mm guns. 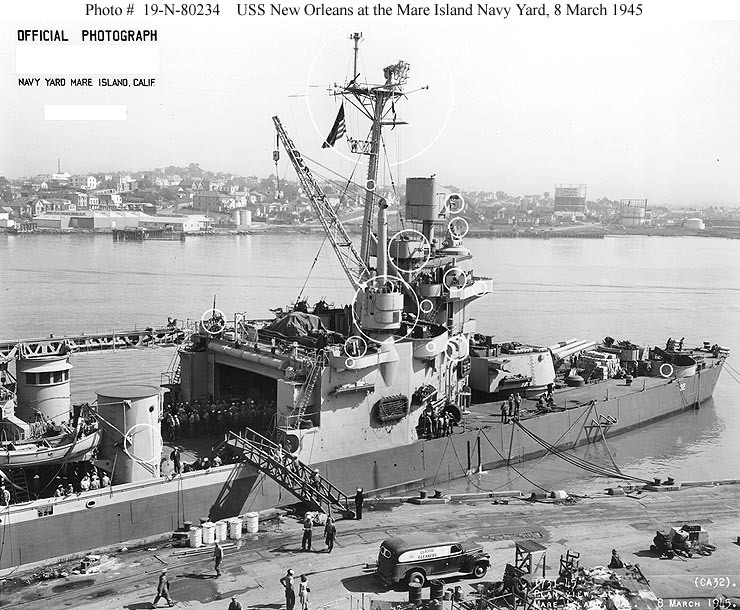 Late 1943: 1.1" guns replaced with 6x4 40mm Bofors AA guns. 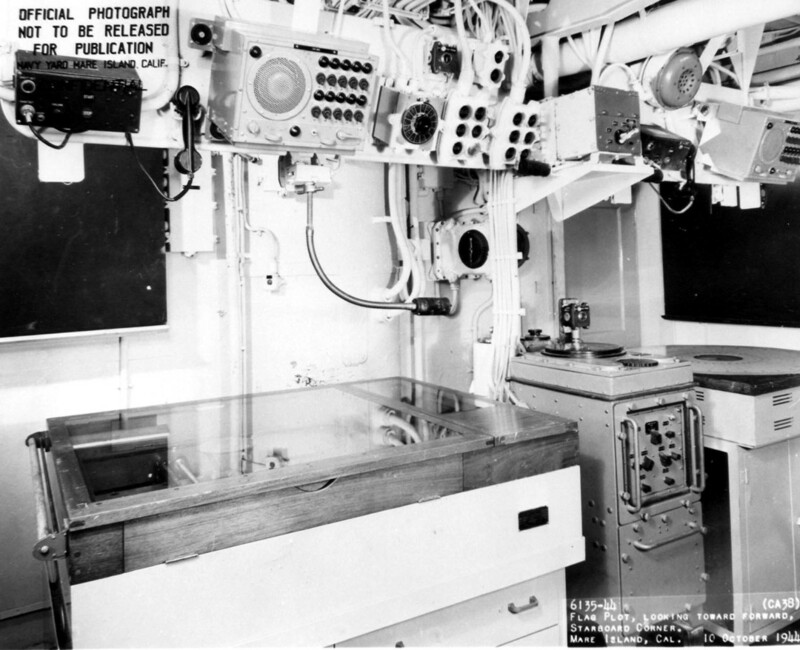 SC radar replaced by SG (two sets), SK, and Mark 4 radar. Conning tower removed to reduce top weight. 1944-1945: Light antiaircraft increased by another 16x1, 14x2 20mm guns. 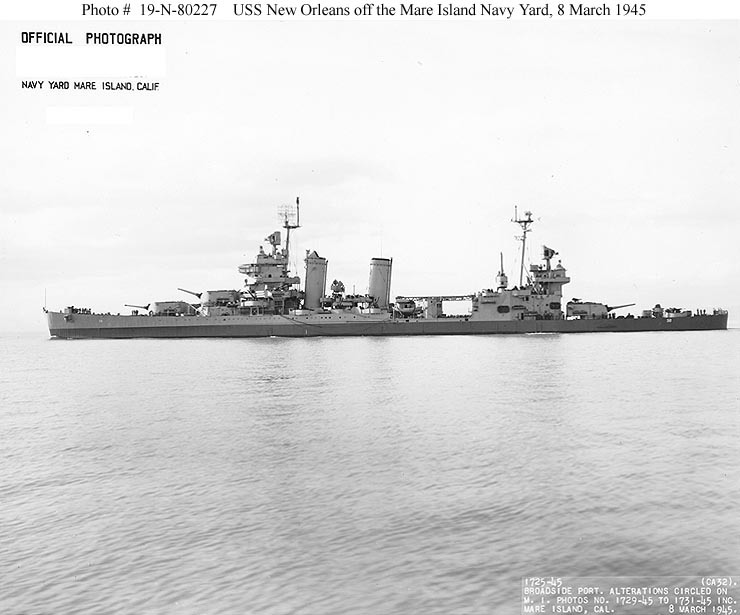 The New Orleans were completed in 1934-1937. 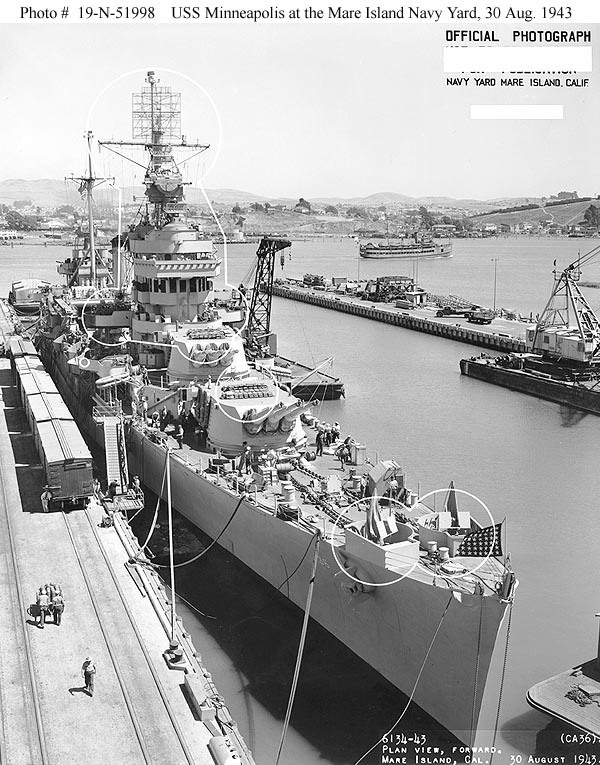 By the time they were being designed, in 1929, the Navy had recognized that its earlier heavy cruisers were underweight, and the new ships were given heavier protection to bring them up to the treaty limit. They were somewhat shorter and less beamy than the Portlands, at the cost of being less well subdivided, but this allowed a shorter armor belt of greater thickness. 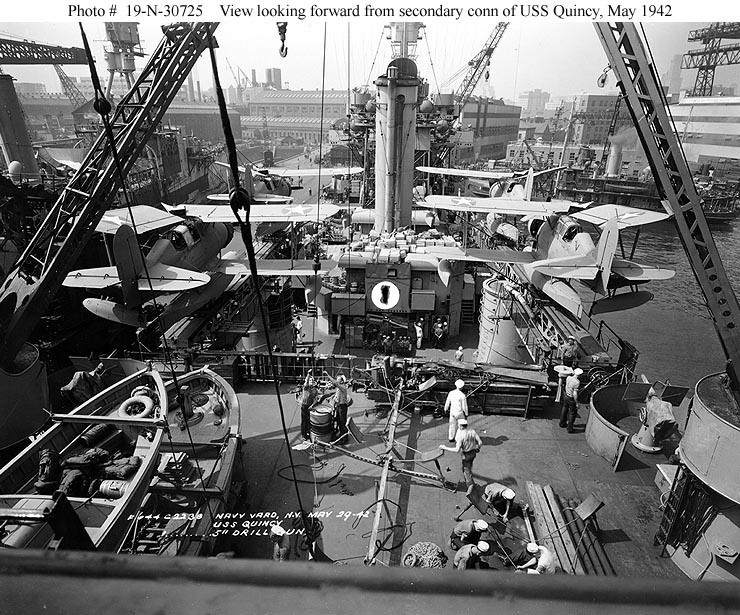 Because their machinery was not particularly well-dispersed, they were theoretically vulnerable to a loss of power if a torpedo struck the bulkhead between the two engine rooms. 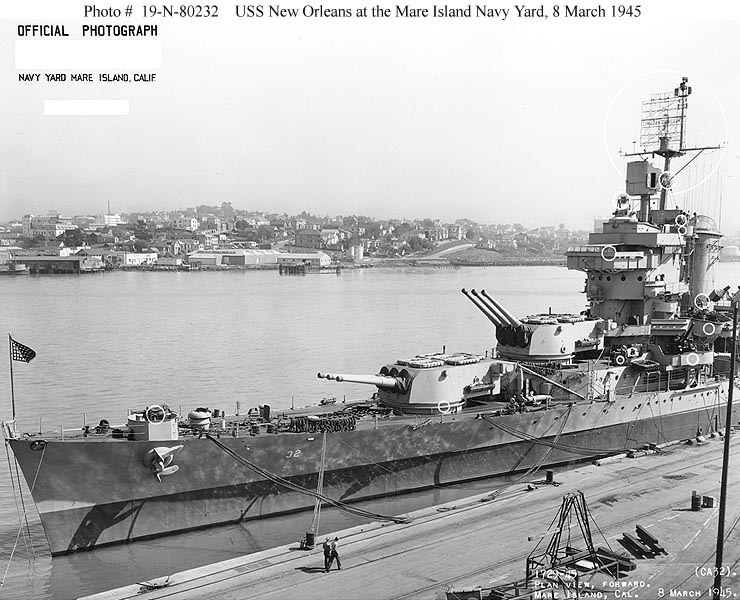 Unlike earlier designs, their 8” (203mm) guns were mounted in proper turrets and could be elevated individually. 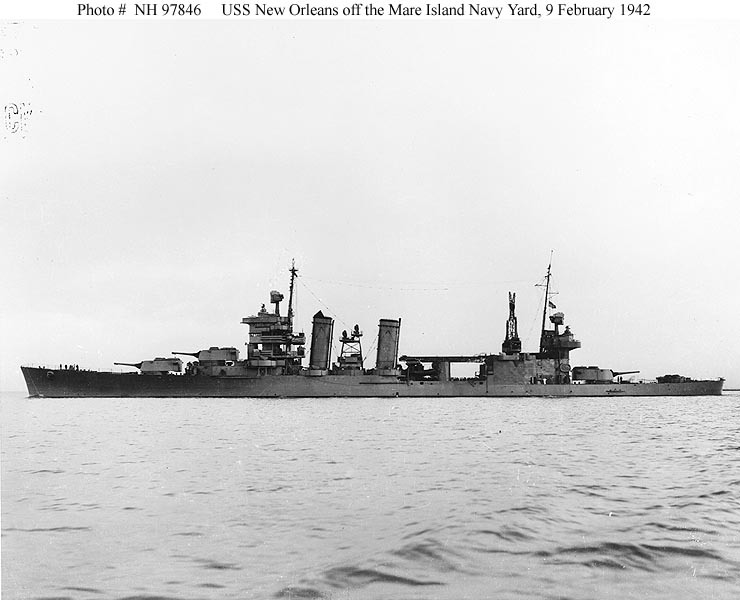 Except for the single Wichita, they were the most modern heavy cruisers with which the Navy began the war. 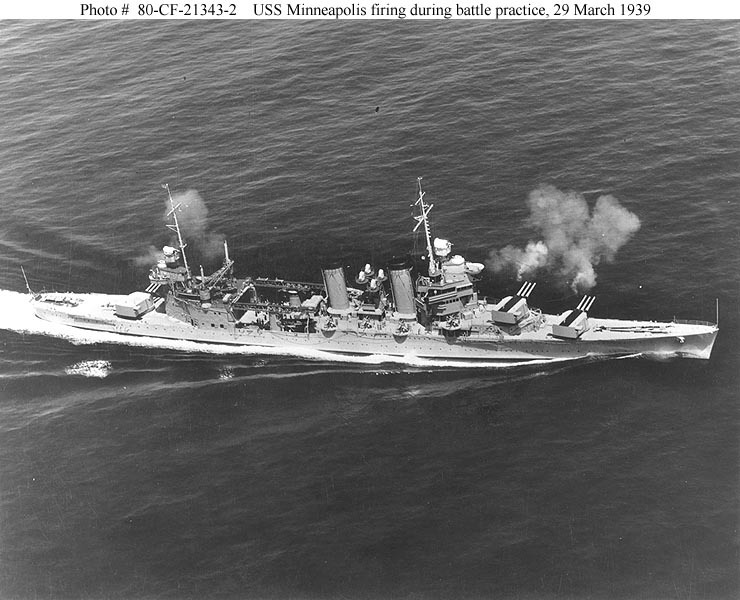 They were quite heavily armed and armored, to the extent that they often found themselves employed in a “pocket battleship” role. 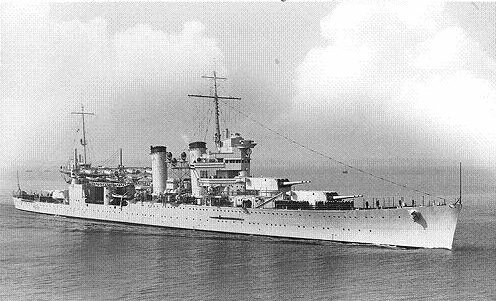 Three ships of this class were sunk in a single disastrous night in the Battle of Savo Island.